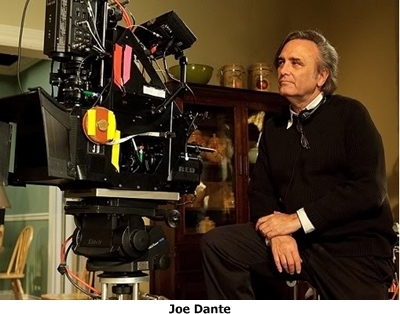 “Joe Dante knows a little something about fear. The director of such movies as Gremlins, Matinee, Small Soldiers and 2009’s The Hole – which makes its U.S. theatrical debut in Digital 3D as part of Jesse Hawthorne Ficks’ Midnites for Maniacs’ series at San Francisco’s Castro Theatre on Friday, October 7 – grew up on the emotion. 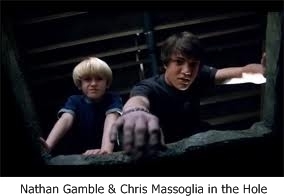 Terror is also a fact of life for the siblings at the center of The Hole, brothers Dane (Chris Massoglia) and Lucas (Nathan Gamble). Already upset because their mother Susan (Teri Polo) has uprooted them from Brooklyn’s urban bustle to apparently sleepy Bensonville, life gets more interesting and a heck of a lot scarier when they discover a padlocked door on the floor of the basement. Like modern-day Pandoras, the boys can’t resist peeking and they inadvertently unleash their own worst fears. Ever since 1984’s Gremlins‘ phenomenal success, Dante has been a go-to guy for producers seeking a director who is good with horror and good with kids. He admits he sometimes get frustrated with the typecasting, but he is always open to a crackerjack script. “I wish I could say that I am attracted like a moth to the flame to these stories, but that’s not really the truth,” he says. “The truth is I get offered this kind of material, because I’ve done it in the past. And obviously, I can relate to it. I have a dictum that I operate under, which is that I will not make a movie that I wouldn’t go see. One of the things that struck the director about Mark L. Smith’s screenplay was that even with all the fantasy and horror elements, there was still a core of realism to Dane and Lucas’ situation. When Dante was growing up in the ’50s, he loved those movies that were the manifestations of the nuclear world that he feared, movies like Them and the other radiated monster movies. The Universal horror movies from the 1930s that he watched on television he describes as his folklore and fairy tales. But he also grew up during the first wave of 3D. With The Hole he was given a chance to use the format for himself. He thought back to those old movies as he decided just how to employ the technology in his own work. “You can’t constantly throw things at people or else it loses its effectiveness,” Dante observes. “My favorite 3D movie is Dial M for Murder, which was one of the last 3D pictures produced then, not shown in 3D originally, and it saves its breaking the frame stuff for a couple of moments and they’re very striking because there’s not a lot of other stuff like that. He had to shoot quickly, so Dante feels he only scratched the surface of 3D’s capabilities, but he is pleased with what he was able to accomplish. “It’s not an expensive film; we didn’t have much time to make it, but I think given the subject matter, it’s as good as we could make it,” he says. Dante is scheduled to be on hand for the Midnites for Maniacs The Hole screening and to take part in a Q&A with Jesse Hawthorne Ficks. The Castro Theatre is the perfect venue for the movie’s theatrical premiere, its cathedral-like dimensions reflecting the 64-year-old auteur’s vision of movie going. The Hole plays Midnites for Maniacs along with The Goonies and Gremlins 2: The New Batch on Friday, October 7 at the Castro Theatre, 429 Castro Street, San Francisco. For further information, visit http://www.castrotheatre.com.